This is my favorite time of year to work for TWO MEN AND A TRUCK®. Exciting things happen from March to May when Movers for Moms® brings individuals across the country together. Movers for Moms® is a program seeking to make life easier for at-risk women who are lead to stay in shelters on Mother’s Day as a result of domestic violence or homelessness. Each year, TWO MEN AND A TRUCK® locations across the country collect donations for women and deliver the items to local women’s and family shelters on or just before Mother’s Day. Each franchise location partners with local shelters, schools, and community organizations to collect items to make Mother’s Day special for moms in need. TWO MEN AND A TRUCK® locations collect donations from mid-March through the weekend of Mother’s Day. 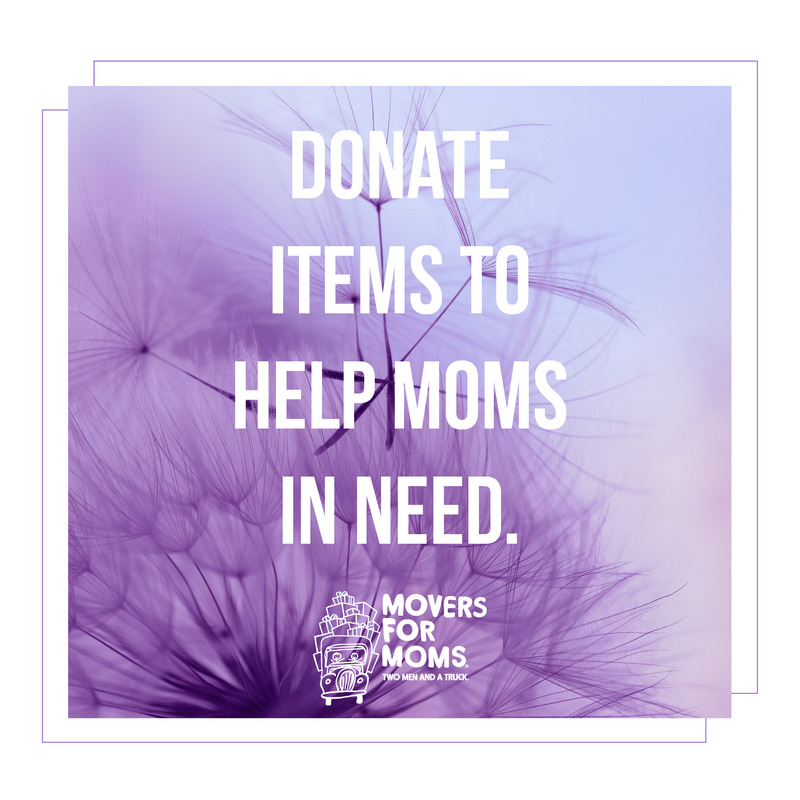 Movers for Moms® is an initiative created by TWO MEN AND A TRUCK® eight years ago to provide moms who need it most with a little something to brighten their holiday. Each TWO MEN AND A TRUCK® location participates in the program — that means more than 250 franchises are working together and supporting hundreds of shelters across the 39 states in which we are present! 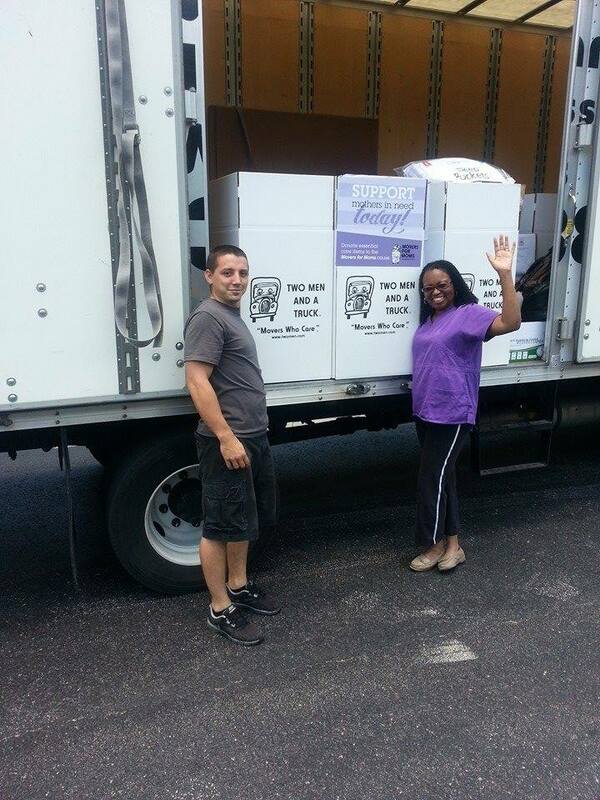 Movers for Moms® 2015 is well underway! We have high expectations to make this year the most successful one yet and an overall goal of collecting and delivering more than 250,000 items to moms across the country. If you have any questions about Movers for Moms® or want to get involved, check out the frequently asked questions below. Thanks for your interest in helping Movers for Moms®! You can help by getting in touch with your local TWO MEN AND A TRUCK® franchise and dropping off your donations to their office or at the collection site nearest you. You can also help by telling your friends and family about Movers for Moms® and encouraging them to donate! Each shelter determines their own wish list and comes up with items they need, however, popular donation items include: soap, hair styling products, shampoo and conditioner, pillows, toothbrushes, blankets, slippers, hygiene products, and other basic clothing items. Contact your local TWO MEN AND A TRUCK® franchise for a complete list of their collection items. To find the franchise nearest you, visit twomenandatruck.com and put your address in the franchise locator. 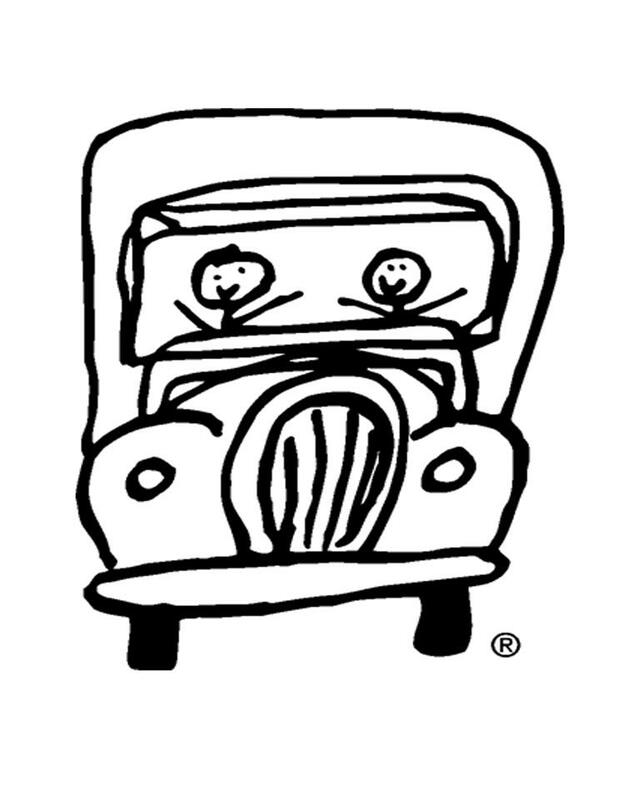 Why does TWO MEN AND A TRUCK® celebrate mothers? We believe every mother deserves a gift and a moment of reverence on Mother’s Day, no matter what their situation is. TWO MEN AND A TRUCK® has women in key leadership roles across the country — some of the most successful franchisees are mothers. Movers for Moms® is just one way we can show our support to mothers everywhere, despite their current circumstances. Last year was a record-breaking year. More than 220,000 items were collected and donated to shelters across the country. With your help, this spring, we hope to surpass last year’s numbers and collect even more donations. Last year, Movers for Moms® partnered with more than 400 collection partner sites such as elementary schools, daycare centers and community collection sites across the U.S.
Help us make this year even bigger! There are numerous women living in shelters that deserve to be celebrated this Mother’s Day! Follow Movers for Moms® on Facebook and Twitter to keep up with the latest Movers for Moms® news and updates. I am a 67 year old Mother. On Feb 28 of this year my ex-husband moved me to Carmel, IN to live with him to care for him as he has multiple myelomal. This past Monday evening he hurt me and I am now in a shelter for my safety. Would your company consider helping me from Carmel, IN to Greenville,OH? I will leave my phone number as well. 317-385-8310. PreVail in Noblesville, IN has helped me to get a protective order. It is active. The Judge has set my hearing for 28Jun17. My ex-husband has kept my car and all my belongings from me. We’re sorry to hear about this situation, and we’d love to help. Please visit https://twomenandatruck.com/ to find the location closet to you, and see how they can assist with your move. I’m too busy! I don’t have time to pack and move!